The majority of voters in Tuesday's election voted to recall Mayor Jasiel Correia, who's accused of defrauding investors. Then on the same ballot, Correia received the largest number of votes among five candidates running for the seat. At a bar on the banks of the Taunton River, supporters of the 27-year-old mayor erupted like sports fans as results came in showing their guy would remain in office. "No words can describe what I’m feeling," said ecstatic Correia supporter Nelson Vazquez. "Going through months of the turmoil, from the recall group, counting him out. And I said it: don’t count out this mayor." Asked after the vote how he plans to lead facing an indictment and a divided populace, Correia sidestepped the questions, choosing to focus on the moment. Last night’s election follows a monthslong effort to recall Correia in the wake of the 13-count federal indictment. Prosecutors charge him of bilking more than $200,000 from investors in a social media startup he formed before being elected. Correia won, but the results paint a city split along political lines. Fall River residents voted to recall Correia by a 39 percent margin. But the next question on the ballot was who should be mayor — with Correia listed among 5 candidates. He won with roughly 35 percent of the votes. With a third election victory behind him, now the mayor says he has to win people’s confidence. “I want every single voter in Fall River to vote for me. That’s never the reality, but we’re going to keep trying to earn peoples' trust, earn their votes, by doing good things for our community, like you’ve seen us do." Opponents of Correia saw the defeat coming when the other candidates refused to unite behind any one of them. One organizer of the recall petition, Joe Pereira, told WBUR that with all but one precinct voting to recall the mayor, Correia may have a job but he does not have a mandate. "Had it not been for the split vote his future would be very different," Pereira wrote in a text. "I am proud that the people of the city voted to recall him." Holding a sign in front of Fall River’s City Hall during the day — plumber Josh Teixeira voted for school committee member Paul Coogan, who lost to Correia by a mere 240 votes. 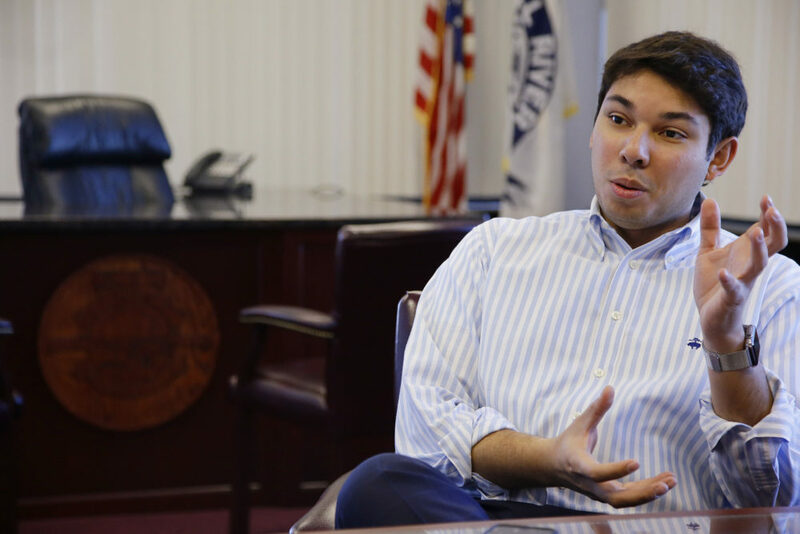 “I travel a lot, and everybody finds out I‘m from Fall River and the first thing they think of is, 'oh, you're from the city where the mayor got arrested,' it’s the persona," Teixeira said. "You don’t want that. We want to be something known as we were past before — the mill city, businesses, textiles. So let’s keep it like that — under the radar." Fall River's voters may be divided but if there’s one thing that unites them, it’s that they’re already sharpening their swords for the next mayoral election in November.